Check out our Family Style TO-GO Menu! Kenny’s East Coast Pizza offers traditional Northeastern style pizzas in addition to all the favorites from Kenny’s Italian Kitchen. Indulge with a specialty pie or enjoy an Italian classic; such as lasagna, chicken piccata or veal parmesan. Our full-service bar allows for any dish to be accompanied with a Grey Goose™ martini poured from our signature frozen tap system, an ice-cold draft beer, or a glass of wine from our carefully selected list. Celebrate date night, a special occasion or bring the whole family for a relaxed evening on our patio. Whatever the reason, we can’t wait to have you… because at Kenny’s every day is a holiday and every meal a feast! * Let us do the cooking! Order family-style to-go for your home or office. 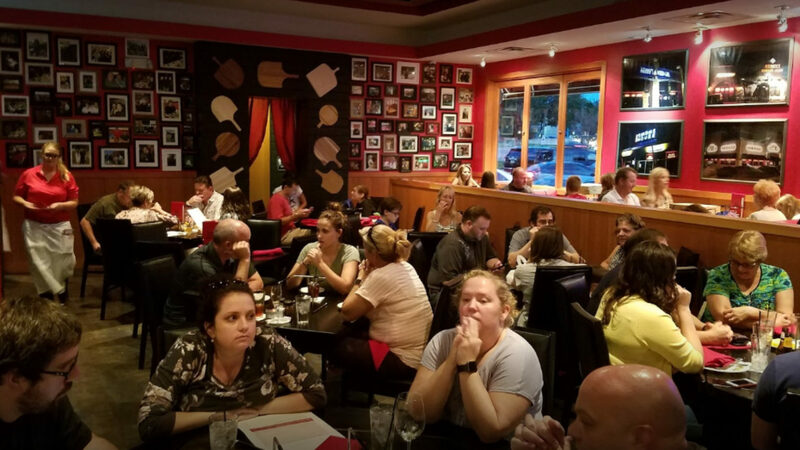 * We have a private room that seats up to 14! Book your reservation today! *Call 972-519-9669 for details & inquiries! Order family-style TO-GO for your home or office! Great restaurant, great bar and great service. They served one of the best gluten free pizzas I have had. As well as some great oven baked wings and an amazing greek salad. And a terrific bar. The staff was very hospitable and accommodating. Thanks to Cady, Eric, Mike and all the rest of their great team! Kenny's can do no wrong. Consistently great service, food and cozy atmosphere. I had the pleasure of trying several dishes last night: Philly cheesesteak crostinis, tomato mozzarella salad (huge portion), eggplant parm, adult pepperoni pizza and cheesecake. While everything was fantastic - I'll be dreaming of those crostinis for years to come. Thank you to Cady for taking care of us at the bar and for the wonderful grapefruit martinis! We tried the 2 different pizzas... cheese was the bomb, 2 salad tasty salads, lasagna, chicken Parmesan and of course the peanut butter pie! Highly recommend!!! Please let us know if it is your first time dining with us. We look forward to seeing you soon! © 2019 Kenny’s East Coast Pizza. All Rights Reserved.